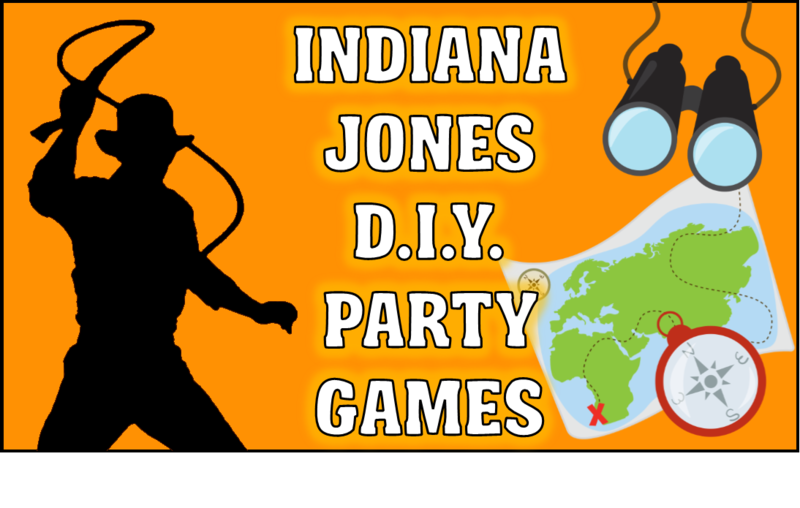 DIY Indiana Jones Party Game Ideas! When you think of Indiana Jones you think action, excitement, adventure and travel. Where will your party adventure take you? A lost library hidden beneath the waterways of Venice? A jungle temple guarded by savages? A pyramid in Egypt? The choice is completely up to you. Wherever you decide to take your guests, here are some adaptable game challenge ideas to get you started. Mix, match and make it legendary! Start with the the right gear! As guests arrive, give each child an adventurer's bag with a treasure log and crayons. 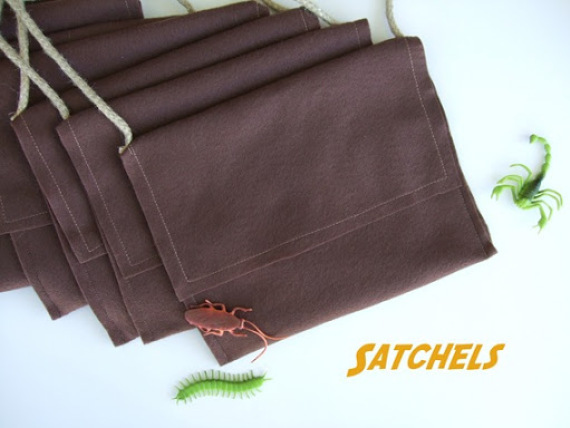 Satchels can be store-bought gift bags, paper lunch sacks with construction paper carry straps or easy sew felt. To make a satchel, cut a large rectangle of brown felt. Fold the bottom (one short side) up about two thirds of the way and stitch the sides. Attach a piece of velcro to the front to close. Sew a length of a wide brown ribbon into the side for a shoulder strap. Treasure logs to keep track of the journey can be Dollar store mini-composition books or some folded printer paper with a brown construction paper cover. You may also want to give each guest a passport which you can stamp at each obstacle or leg of the journey. Cut a couple sheets of printer paper in half (hamburger fold) then fold in half again and staple into a folded half-sheet of dark construction paper. Guests can draw their portrait on page 1 (can't be worse than a DMV shot) and get stamps on remaining pages. Ok, for an Indiana Jones birthday we want to help you create an adventure theme for your party. 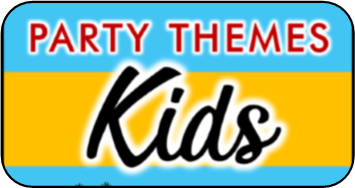 We want to set your party guests on a quest filled with excitement and FUN. Let's start by setting the tone. What sets you on this quest sets the tone for the whole adventure. Were you given a map or coded message? Did someone go missing on the hunt for treasure, like Indiana or his father? Were you sent to investigate by the government or the university? Think about the end goal when setting up the beginning. Then build a party plan with a mix of mental and physical challenges, some crafts they can keep and of course a buffet spread to beat an adventurer's appetite. Let's talk about some games you can use to add the mystery and adventure to your quest! We have two different type of games we think work perfect for this theme. They are mind games (clues, codes, etc..) and obstacle games. We are going to start with some mind games. Below are just a few examples of mental puzzles perfect for children young and old. Choose one or more to give guests moments to catch their breath and cool down between more energetic activities. 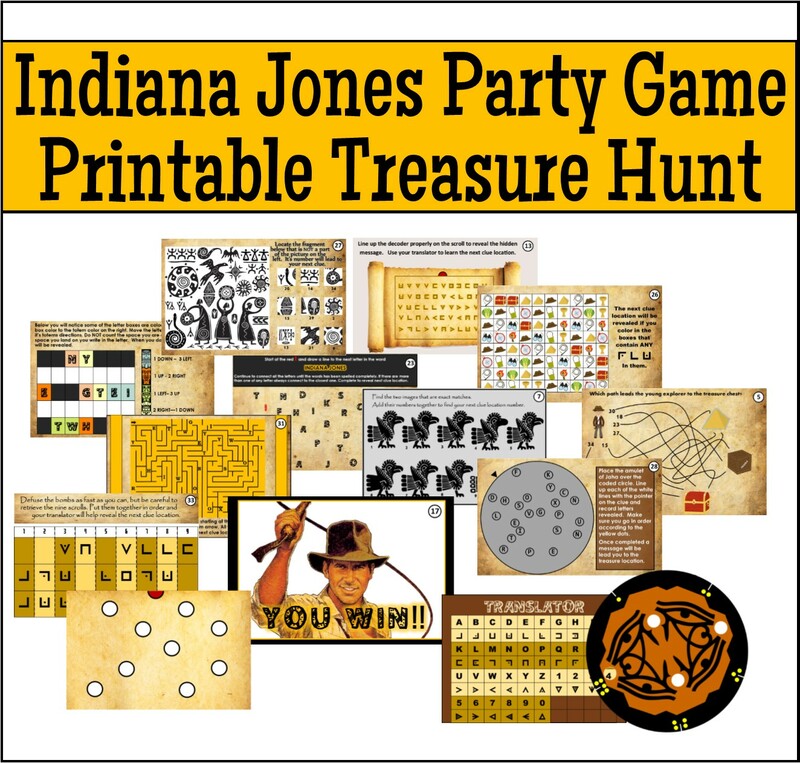 If you don't have the time to put together your own treasure hunt / quest, we also offer a ready to print Indiana Jones treasure hunt filled with different clues and games to make it a piece of cake to put together an epic party adventure. 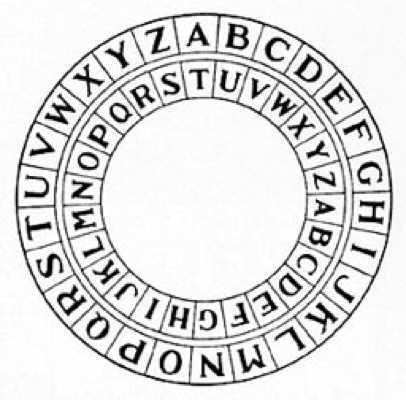 Introduce your children to secret codes. Decide what your message will be (perhaps the mission goal or the location of the map or next clue). Encode it using one of the methods below and provide a key or decoder for guests to solve. 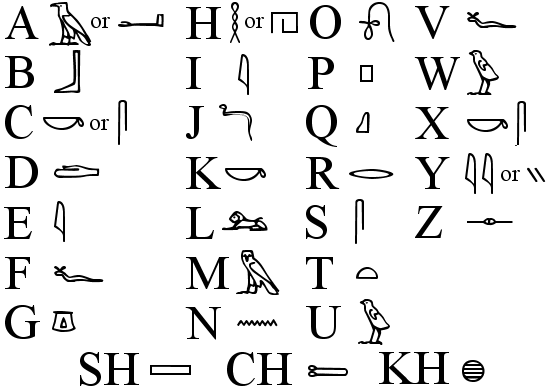 Egyptian hieroglyphs are phonetic so some letter sounds overlap. You can also make up your own pictograms to represent places around your party. Letter look and find - You can also deliver your message visually by drawing a picture of your party area or the missing treasure and hiding letters or words inside the illustration. Adventurers must spot the letters and unscramble the message. Map Scraps - You could also draw out the obstacle course for kids on some "old" tea-stained paper and then tear it into large pieces which guests must puzzle back together before they can begin the course. Check out fontspace.com for some already created FREE fonts you can download to help with your hunt. 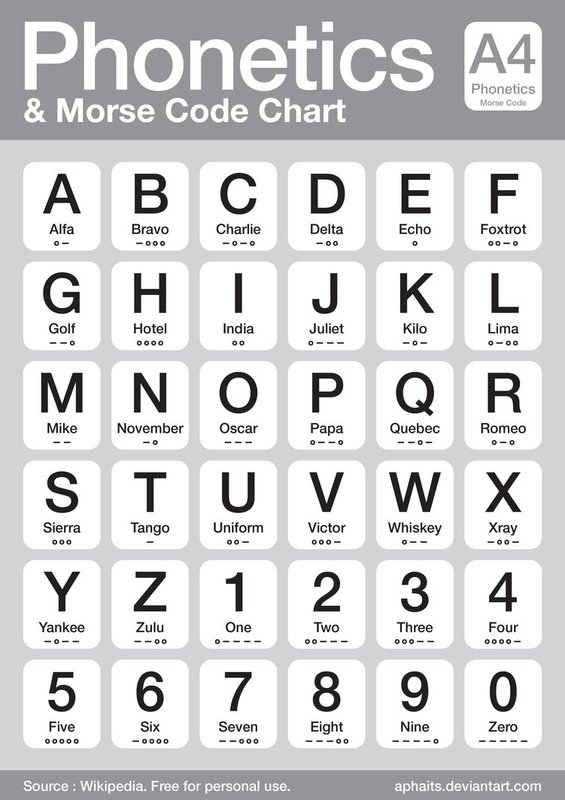 There are many coded fonts to make it especially helpful. 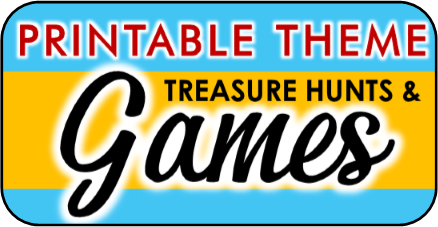 If you don't have the time to create your own treasure hunt then this printable Indiana Jones hunt is just the ticket. This hunt comes with 11 different clues that players have to work together to solve. Each clue is different and each has a different way it must be solved. Each clues answer leads to the next clue and the then the next until the treasure is found. One of the best parts about this hunt is that you can play it ANYWHERE because you decide the hiding locations. For complete details click on picture on left. Put together a series of challenges that fit the location(s) of your quest. You can set the scene for various areas using fake plants for jungles, sheets for tents or country demarcation (yellow for Egypt, orange for Southwest America/Mexico, etc.). Build cardboard box temples or pyramids or turn playground equipment or furniture into exotic destinations. Some ideas for obstacles are below. Form the "pit" from a Hula hoop or tie the ends of a jump rope together to make a circle. Place a ring pop or other small treasure in any plastic gift bag with handles or a Ziploc with a slit cut in it below the closure. Put the treasure bags in the pit and toss in some toys snakes or pieces of rope cut to various lengths. Children must use a stick to snag the bags out of the pit and retrieve the prize (hopefully without a slithering surprise inside). Lay a ladder or 2x4 on the ground for the explorers to walk across. You can get creative with this and have them try to crawl across, or walk backwards, or place rubber snakes and bugs around it they they must try and avoid. Time to get creative. Buy a bag of cheap plastic bugs/spiders. Using string or fake spider webs left over from Halloween, LOOSELY attach critters to the top and walls of a narrow tunnel. Playground tunnels work well but a large box on its side will do the trick nicely. In a pinch, you can throw a dark blanket over some chairs or a bench. Children will crawl through the tunnel single file to the other side, likely pulling bugs loose as they go. Don't worry. The next game is great for those critter creeps. This plays like a cross between Simon Says and the Hokey Pokey. The "Simon" or in this case, Indiana, will spot a spider and tell you what to shake. "Indiana says 'Shake the spider off you left shoulder". The children should shake the appropriate appendage, but only when "Indiana says". After a number of rounds, drop a treat behind each child and Indiana says "pick up the spider's treasure" to end the game. 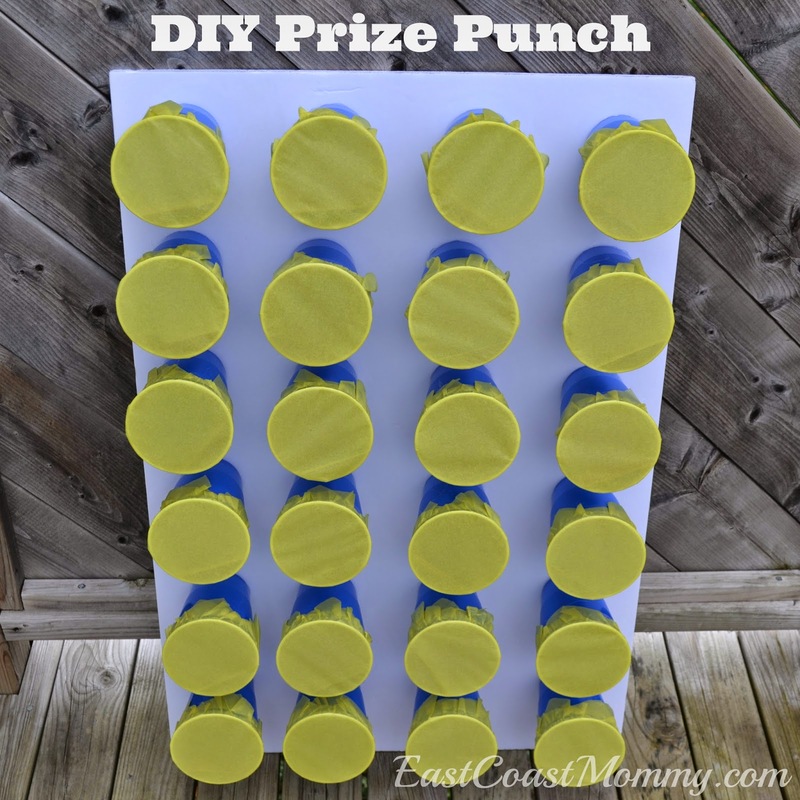 Make a punch box “wall” from Foam board, paper cups and tissue paper. (see example on right) This East Coast Mommy has great instructions for how to make your own. Click on picture to visit her blog! Drag out the Twister board for a fast tile path. If you don't have one, squares can be cut from poster board, drawn on a driveway in chalk or spray painted right into the grass. Remember to use only the colors red, green, yellow, and blue. 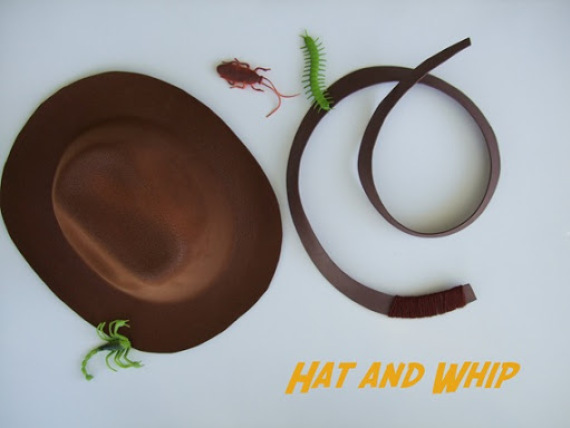 Cut strips of paper in the four colors and place in hat. Mix well and have kids draw six strips to reveal the path they must take. This may be a straight line but most likely will require some hopping. If a child steps on the wrong color they must go back to the end of the line to try again or if it's close family party you can create a scary penalty - such as they will be swooped up by a parent immediately and tickled into screaming fits! As an alternative, you can use large die-cut letters (available at craft stores or Dollar Tree) and have kids spell out the name of the birthday boy/girl by hopping from letter to letter. Several older siblings or adults should dress like angry bandits (a simple scarf or plastic sword/water pistol will do). The explorers must arm themselves with water pistols or rocks (water balloons) and attack the bandits. Resistance is futile but the kids will love it anyway. Pull out the kiddie pool and fill it with cold water. Seal an assortment of plastic treasures (rings, bracelets, beaded necklaces) in Ziploc baggies. Toss the bags into the pool. Also throw in a large number of floating rubber/plastic fish or frogs to help hide the treasure below. When you say go, children will have to run to the cold water and try to find a treasure bag amidst the fish. After a long and eventful quest the little explorers need to refuel - why not make the feast part of the quest, or even the grand finale treasure! Hershey's Nuggets, Kisses and Rolos all come wrapped in gold and silver. Bubblegum gold nuggets and corn pops cereal wouldn't be out of place here at all. Try serving Spaghetti Snakes (roll lasagna noodles lengthwise around cheese sticks and bake in spaghetti sauce) or Golden Tarantulas (Chicken tenders with carrot stick legs). Make a jungle cake to top it off. Use snack-size Twix for fallen logs, twirl Pretzel rods in green frosting and stick into cake for trees, roll Laffy Taffy into flowers or jewels, and blue sprinkles become a river. Get gold and silver cups from Dollar Tree and let guests “engrave” with markers and decorate with sticky-backed crafts jewels. Have fun with it and enjoy the adventure!